In November 1998 the State of California imposed an additional 50 cents a pack tax on cigarettes. The monies generated by this tax are set aside solely for use in improving the health and development of young children ages prenatal to 5 years old. The monies are divided among the counties based on birth statistics. Each county has the freedom to identify its own needs for the health and development of its young children and how best to satisfy those needs. 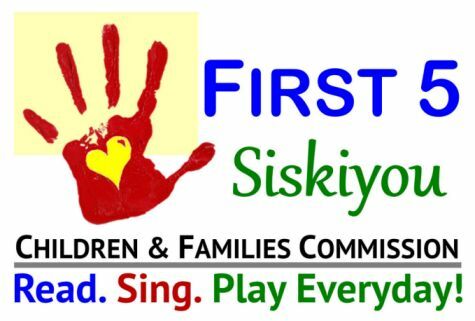 First 5 Siskiyou (formerly Siskiyou Children & Families Commission) was first formed and began meeting in April 1999. Seven Commissioners, appointed by the Board of Supervisors, meet monthly on the 4th Wednesday. Most meetings are held at Siskiyou County of Education, Siskiyou Room, 609 S. Gold St., in Yreka. Occasionally meetings are scheduled in other locations as posted. Community Teams were formed in each of the County’s 10 major population areas to carry out the Commission’s agenda. Nine of the teams have evolved into Family and Community Resource Centers offering diversified programs throughout the county. The FRC/CRCs receive funding from First 5 Siskiyou through annual RFFs to provide programs that fit the needs of each community. Funds are set aside each year for specific countywide projects.